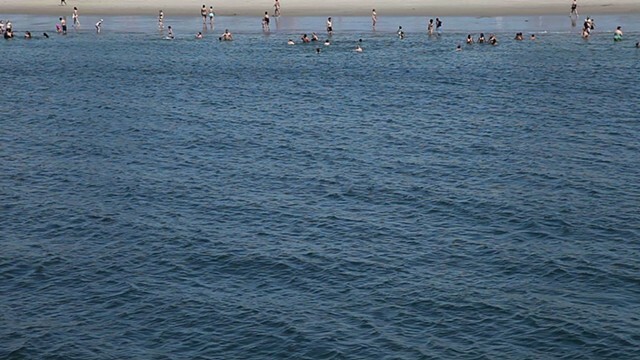 In this video, a section has been separated out into still frames of people along the horizon. For each second in this video segment a frame was traced, adding up to a series of numbered drawings. 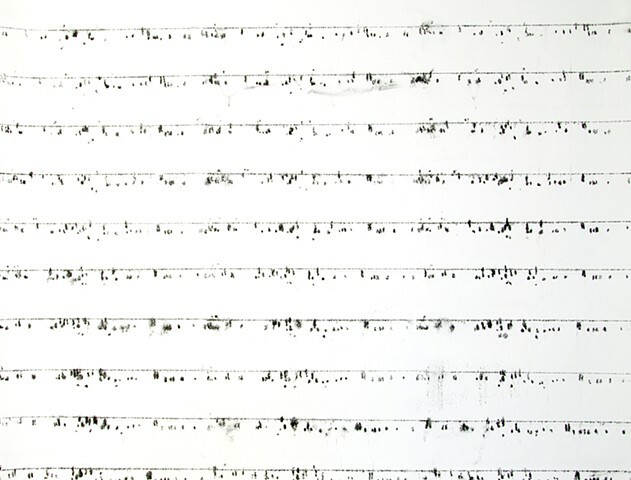 These drawings were then transferred onto another piece of paper to combining them into one continuous sequence that could be read as musical tablature. The horizon played the top line (high e) of 5 stanza sheet music. The remainder of the stanzas were drawn in, and the dots of people thereafter fell upon them. This was then played on the piano as music. I can read sheet music, and can locate the notes however never learned how to play this instrument. The tablature representing a short segment of real time in the video was translated into an 8 minute long musical piece. The work is displayed as a double projection. 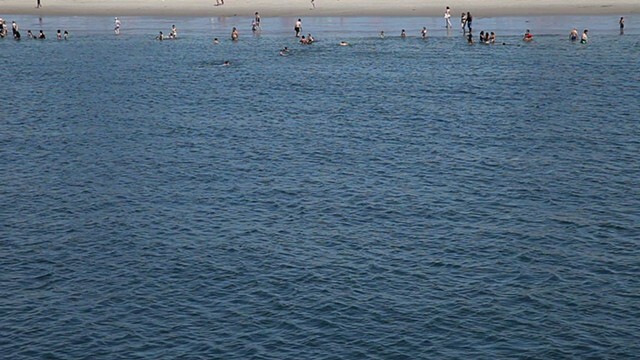 In the first video, the image is slowed down to match the time of the interpreted musical piece. In the second video, the sound is sped up to match the actual length of the video segment in real time. As a whole, the project uses illogical system formation to play with time, and dichotomy between empirical and experiential. original 8 min. 6 sec.